Offering a Primitive Amish rocking chair from the mid-19th century. Completely hand made with many pieces carved with simple tools. It’s in very solid condition. Being a Primitive, it does rock slightly to the left and is pleasant to sit in. The arms happen to be just the right height and the high back is slightly bowed, making it very comfortable. There is plenty of original wear in the right places. It was bought from an estate in Indiana. Most of the farmhouse furnishings were of the same period, with many fine Amish items. At some point, someone had applied a lacquer over the original finish, in a well done manner. It does look very fresh, yet has a lovely worn patina. I’m very fond of the colouring and wear on the arms. MasterCraft desk fan manufactured in 1947. It’s a truly well-built piece of vintage American manufacturing. Built just after World War II, it’s 8″ fan blade runs like an airplane propeller. It runs very smoothly and fast. The motor and bearings have been cleaned, then lubricated. The fan also has been rewired, with a new power cord. There is one speed controlled by an on/off switch. 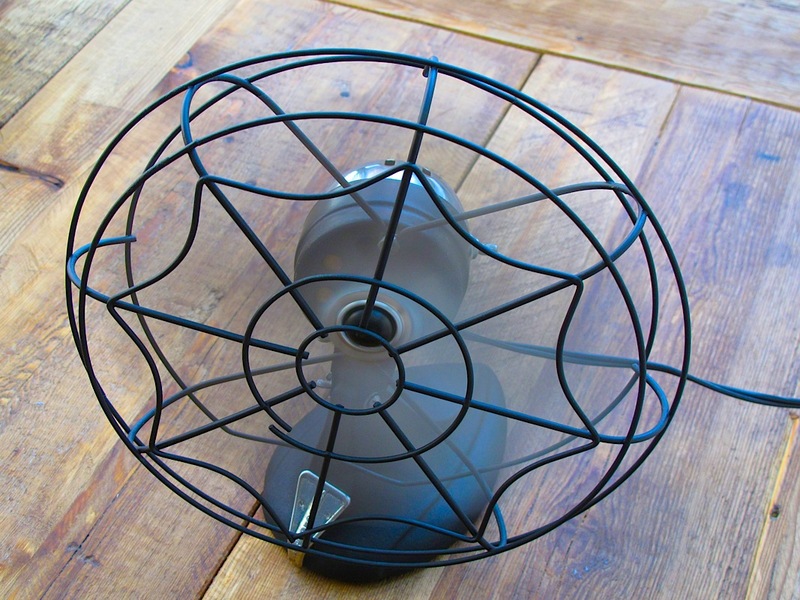 This retro desk fan creates a massive amount of airflow for a unit measuring 10.5″ in height. The Chrome fittings and fan blade have been cleaned/ polished. The steel and cast iron parts received a fresh coat of paint. This fan was built to last forever and it just received it’s 64 year service. It’s ready to give that retro look and quality to your office or home. It does have an oscillating mechanism at the rear, which does not work. I believe the gearing has worn away from years of use. It doesn’t affect the overall purpose or look of this brilliant desk fan. This is a solid metal original and after running for awhile the motor housing will become hot to the touch. This is normal, as there is no plastic on this fan.